Having successfully launched a variety of successful treatment programs in the Mental Health and Addiction field, Mendi Baron, LCSW and Gryphon Ward have embarked on a new endeavor with one focus in mind: quality and affordable mental health and addiction care for teens. With a talented, warm, and experienced clinical team and the ability to accept health insurance, Ignite Teen Treatment will meet the incredibly high need for quality adolescent care. “The struggles teens face are a challenge enough, only further compounded by the myriad of mental health and addiction issues our teens face. Issues that by all indications aren’t going away anytime soon.” says Mendi. “There’s no magic in what we do either. It’s about having the right people in place, with the right environment for growth”. Having seen tremendous success with small and focused residential programs, Mendi and Gryphon begin this endeavor with a small, cutting edge clinical program in Spring Valley, Nevada. 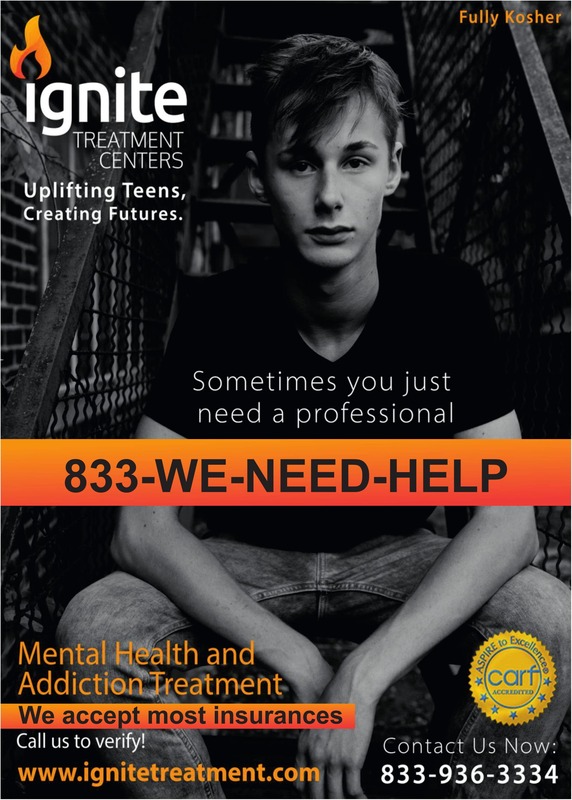 The Ignite Residential treatment program, “Residential Teen Rehab”, or “RTC” is available to those struggling with long-term or serious dependence, mental health issues, as well as higher risk behaviors and symptoms that require the more intensive, 24 hour supervision of a residential environment. Those participating in residential treatment live at the treatment center until they achieve a medically necessary and clinically indicated level of stability that would enable them to safely transition to a lower level of care. Clients receive a broad range of medical, psychological, educational, and supportive services. A client who qualifies for Residential Treatment will generally receive 30-90 days of care. The length of stay can vary based on the specific clinical indicators that determine medical necessity and is assessed on an individual basis. Ignite has an atmosphere that is warm and family oriented, while providing a high level of clinical and evidence based care. Clients at the Teen Residential Rehab program live onsite with the 24 hour support of our treatment team comprised of licensed therapists, psychiatrist, nurses, addiction specialists, experiential counselors, educators, counselors and mentors. The Ignite home is tastefully appointed to address both the myriad needs of a developing teen as well as the variety of safety requirements that come with treating acute mental health and addiction issues. Though the program provides numerous amenities for comfortable living, our program is designed to engage the clients in a system of self-growth and responsibility, earning their way to success and often setting and achieving their own milestones. The clinical program is comprised of individual, group, and family therapy, as well as experiential therapies, psychiatric assessment and support, medication management as indicated, regular nursing assessment, and coordinated care with specific professionals and supportive programming to meet the unique clinical, cultural, and developmental needs of our clientele. The education program is custom tailored to the individual. Educational coordinators along with local education professions work with the clients to build programs that will maximize their academic opportunities. Our family program is designed to integrate the family system with the clients care in such a way that enables and requires both the client and family, as well as the home environment to learn, grow, and experience positive change. Having run other programs before and having dealt extensively with the Jewish population (and as a Chabadnik himself) Mendi made the conscious decision to provide a fully Kosher kitchen and food for all clients. “I have always been proactive in providing accommodations to Jewish clients, whether that was Kosher food, Shabbos Candles, Rosh Hashana Minyan, Megillah, Friday night meals and learning with local chabad, and pretty much anything that was needed,” says Mendi.With all that still, clients were often choosing the available non-kosher options and this became a point of struggle. It took some time, but Mendi and Gryphon came up with a solution for Ignite: Kosher for everyone. “Having dealt with so many parents, Rabbis, communities, and families it became obvious that although I would never force anything religious on a client, Kosher food across the board was something that could be accomplished without necessarily even making a big deal about it. So thats what we are doing. Top of the line food. Fully catered. Fully kosher,” says Mendi.